Hello my fellow vinyl lover. 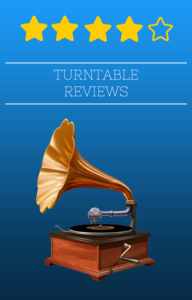 I’m glad you found our website and I think you’ll be glad too because we are going to make your turntable research a lot easier and your shopping experience a much better one. My name is Francisco and I’m here to help you find the right record player for you. I know how much time it takes to research a product on the interment, reading tons of reviews and user guides, asking questions in forums and reading through blogs. I’ve been there, I have some vinyl albums that did not make it to the digital era. I needed a turntable to transfer my favorite vinyl albums to my computer. I had to research turntables and took me a while to decide the right one for me. I want to share my experience with you. That is why I created this website, so that you don’t have to go through all that hassle. In this article I’ll explain how we write our reviews, what criteria we follow and the sources of information we use. If you need more detailed information, you can consult our turntable buying guide.